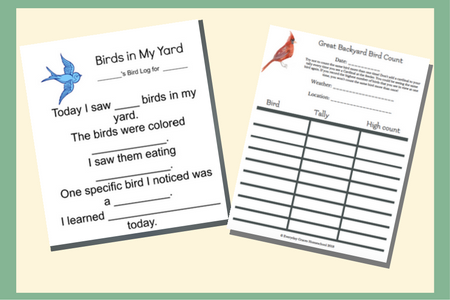 Join me at Teach Them Diligently blog today for some great resources on Bird Watching with young learners. 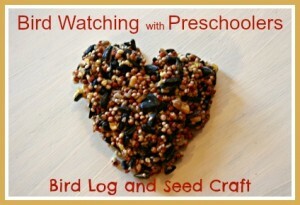 There is also a really fun birdseed cake craft to make indoors with your kids! Be sure to check it out. We love watching birds out our kitchen window. It makes mealtime lots of fun, too. We are going to be keeping a bird log a few days a week as part of our nature study learning. And we will be participating in the Great Backyard Bird Count this year! Keep reading to learn more about this fun February event. I made a simple printable notebook sheet for us to use to log our bird watching and am sharing it here with you! We will be using it to practice writing numbers and simple words. The last sentence “I learned ______ today” is meant for small narration so your little learner may say “birds migrate”, “cardinal mommies are brown”, or “birds eat butterflies”. There is also a tally sheet for the Great Backyard Bird Count. You can get them both by clicking the image below. Remember to submit your results for the count here! We tape our GBBC birding sheets into the back of our My Nature Journals for record-keeping purposes and to compare the yearly totals. Click the picture below to get your printable PDFs. Binoculars. We love our binoculars for watching the birds fly, the hawks nest in our back yard and for our great big safari adventures in the house! iBird Yard App. This great little app is worth every penny of the $4.99 it usually costs, but at the time of this post, it is on sale for $2.99! We have identified several birds with this app. It has calls, pictures, and lots of great information on each bird. Audubon First Field Guide Birds. We love Audubon First Field Guides and have found them to be very child friendly. Birds at my Feeder is a lovely book that is perfect for preschoolers. It has just enough information to be engaging without being overwhelming. The illustrations are incredible! Bird feeder for our deck. Outside your window, on your balcony, but you need to have a birdfeeder somewhere your preschooler can sit and watch from inside when it’s cold and outside when it is warm! We prefer the Squirrel proof feeders since we have lots of tree rodents around our home. Calling all bird lovers! It’s that time of year where bird watchers from all over the world begin to dust off their binoculars in anticipation and preparation for the Great Backyard Bird Count. If you’ve never heard of this annual event until now, no worries. That’s the beauty of being able to jump in and start participating at any point in time! It’s an event that has been going on for many years and is loved by people of all ages, from all over the world. If this is your first time hearing, learning and preparing for it – welcome! 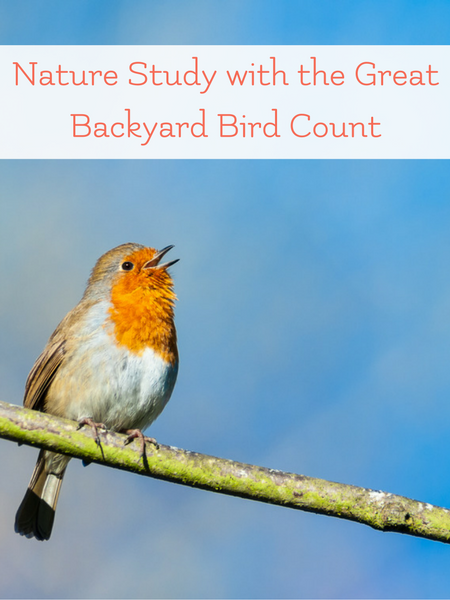 Regardless if this is your first time or not, here is a quick refresher about the Great Backyard Bird Count and how to participate. It’s open to anyone, of ANY age from ANY location! Can you bird count from the comfort of your own backyard? Of course! It’s in the name, after all. Any location will do. As long as you have a clear view of the sky and are able to view birds, you are ready. Starting February 16th -February 19th, 2018, plan on spending 15 minutes per day, trying to locate, watch and record the different variety of birds that you view during that time. There is no requirement to have to participate in all 4 days, just do what you can! If you are only able to bird watch for one day for 15 minutes, not a problem! Record what you can during that time and enjoy. A rule to remember? Each day that you participate, start with a new tracking form. Keep the birds logged separately that you see on varying days. If you birdwatch for 4 days, then you should have 4 different logs with your bird count and information from those days. The really cool thing about being a part of the Great Backyard Bird Count, is that you are observing beautiful birds from your region and you then get to share your results with other people all around the world, who are doing the same thing. Once you have finished viewing, you can then submit your results online to The Cornell Lab of Ornithology. (create an account first) Once you have an account created, you can submit your observations quick and easy online. The information you submit is used by researchers at the lab to become educated about our bird population and our environment. How cool is that? In 2017, during the 4-day span, there were over 29 MILLION birds counted and reported! Use the results from the previous bird count to add new species to your nature journals, to study different birds and how they fit into their habitats, and to review geography. It’s simple to pull in several subjects and make a whole week of study from participating in this global event. 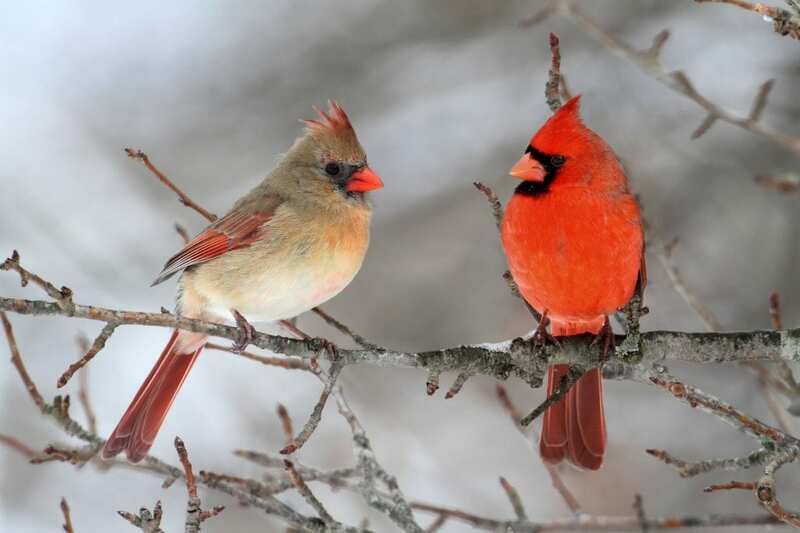 Have fun preparing for the upcoming Great Backyard Bird Count. It is a fun, interactive and educational event for the entire family! You may even find a new love of bird watching as part of your nature study! We loved our study of birds–it was one of our favorites! They are fascinating! We just learned that some squirrels steal and eat bird eggs. I had no idea! Those are a very useful resource list for birdwatching. Thank you very much for sharing. I love the apps. I’m glad you like them. Thanks for stopping by, Adelien!